This is our cute little Christmas tree. 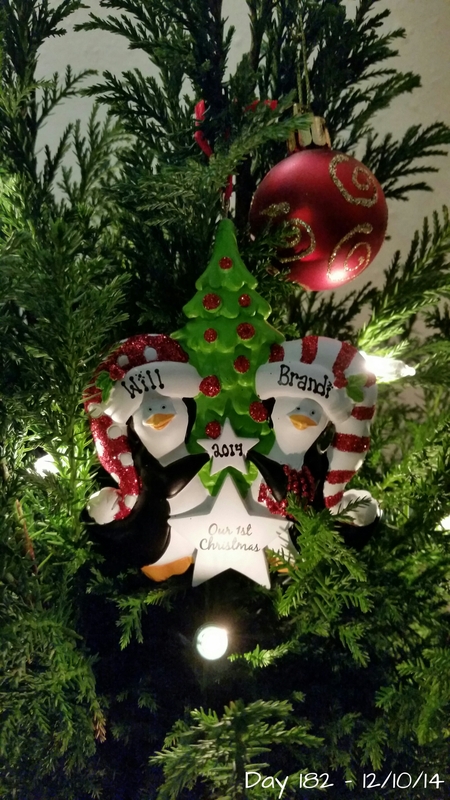 I thought it would be sweet to get a customized ornament for us. It’s so cute!